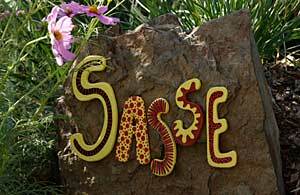 Gene Sasse has been capturing the color and beauty of flowers from Weeks Roses for the past 20 years. Even after looking through the viewfinder of his camera at roses for nearly 7,000 images each year he still enjoys growing them in his own garden. Tucked next to the San Bernardino Mountains in Alta Loma, California Gene’s garden has its share of roses but it’s definitely not only a “rose garden”. 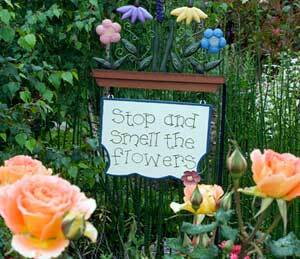 Gene likes to use roses as part of the garden to add texture and long-lasting color. When selecting roses it’s not surprising that he favors roses that he likes to photograph. 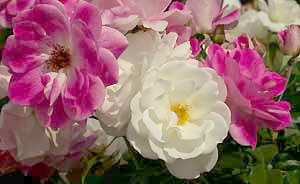 This often means clusters of blooming floribundas and other varieties that showcase their colors in spectacular fashion. Gene not only enjoys the color but also seeks roses with a great fragrance, allowing him to enjoy them in the garden and inside his home. 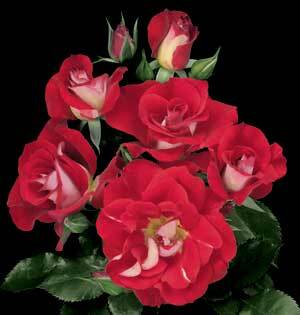 Fortunately for him Weeks Roses has many varieties providing both loads of blooms and a heavenly fragrance. 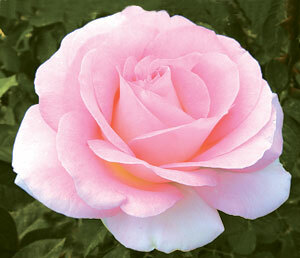 Among Gene’s favorites is the All-America Rose Selections winner for 2006, Julia Child. This rose definitely fits both of his requirements with loads of butter gold hued, spicy scented blooms. He especially likes this rose when paired in one of Weeks Roses unique Twofer trees with Ebb Tide. The striking contrast created by blending the deep smoky, plum-purple petals of Ebb Tide with the lighter yellow toned Julia Child looks great both through a camera’s viewfinder and in the garden. Gene even has a lavender themed garden in his backyard which allows him to include another of his favorites, Burgundy Iceberg. Another clustering plant with great disease resistance and a vigorous growing habit, Burgundy Iceberg is also available as a Twofer paired with the traditional white Iceberg creating a striking contrast in the yard. Another mix Gene has included in his front yard is the pairing of Topsy Turvy with Pillow Fight. Both are fantastic producers of blooms with Topsy Turvy creating a swirl of color with brilliant scarlet petals and white reverses and Pillow Fight pumping out bright white, fragrant flowers all season long. In all Gene cares for about 90 roses spread around his half acre lot. With a long growing season he is able to enjoy his favorites much of the year. Not far from Gene’s home, Will Funk enjoys his favorite roses in several ways including a dedicated rose garden, containers with roses and a few varieties mixed in with the landscape. Will’s rose garden includes mostly reds, whites and pinks. One of his favorites is recent Weeks’ introduction Falling in Love. This warm pink hybrid tea provides large flowers atop sturdy stems and is great as a cut flower for the home. He admires how quickly this rose established in his garden during the very first season and provided a year-long show of blooms. Like Gene, Will enjoys some contrast in his yard. However, his choice of Iceberg is on the Twofer tree with Brilliant Pink paired with white Iceberg. This 36” high tree provides a constant fountain of contrasting color. 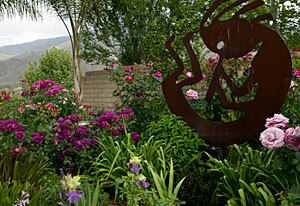 He also enjoys other trees including Brilliant Pink Iceberg alone and enjoys the depth created by the rose trees. 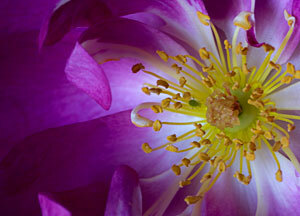 If he had to pick a single favorite rose then Chihuly would be the winner. This multicolored floribunda blooms in clusters of constantly changing hues of yellow, orange and other surprises. Like one of namesake glass artist Dale Chihuly’s creations this rose simply has amazing color and is a showstopper in the garden. For fragrance Will enjoys the swirling red and white stripes on Scentimental. He has paired this near one of Weeks’ new grandifloras Rock & Roll. The splashy red and white on this new introduction makes for an explosive show when both are in bloom. Will also enjoys another of Weeks AARS award winning roses, About Face, in a container near his front door. With a lighter toned, golden orange inside and darker, bronzy-red outer coloring, About Face turns petal colors inside out. Will and his family enjoy watching the bi-colored flowers unfurl (one even opened on New Year’s Day, a benefit to the mild Southern California winters). Both Gene and Will feel fortunate to have the opportunity to share the beauty of all of Weeks Roses varieties; whether in words, photographs or in the best place of all, in their gardens! For more roses and stories go to Weeks Roses.